Bee pollen is a very safe superfood. Let's look at what 70 doctors have to say about any potential side effects. Despite it's amazing safety record as a food, I still get asked about bee pollen side effects here on bee pollen buzz more than anything. For some reason, people seem to have a fear about taking bee pollen. 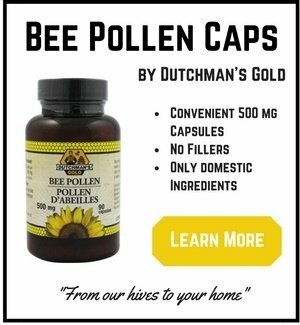 I suspect this is from the many web sites out there who claim to be experts on bee pollen but are really just 'no bodies' pushing a bee pollen product through a referral program. Bee Pollen Side Effects: Fact or Fiction? I did a search for 'bee pollen side effects' and this is what came up on MedicineNet.com, a medical site owned and operated by the WebMD network. They're a group of over 70 physicians who have compiled their medical knowledge on every topic you could think of. SIDE EFFECTS: Nausea or stomach upset may occur. If these effects persist or worsen, contact your doctor promptly. 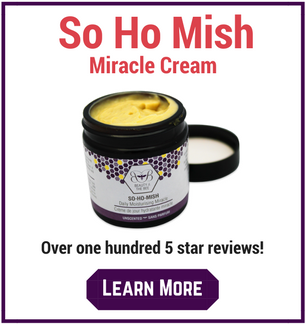 An allergic reaction to this product is unlikely, but seek immediate medical attention if it occurs. Symptoms of an allergic reaction include: fever, diarrhea, weakness, muscle pain, rash, itching, swelling, dizziness, trouble breathing. If you notice other effects not listed above, contact your doctor or pharmacist. I was actually pleasantly surprised by the Side Effects listed by MedicineMet. In my twelve years working in the holistic health and nutritional supplement field and my husband's ten years working in the nutritional supplement business, there is one thing we've noticed about most Medical Doctor's when it comes to natural health products and their potential side effects. They tend to be overly critical and overly cautious when it comes to using food supplements and nutritional supplements. Our observation has been that when a doctor doesn't know anything about a supplement, they'll just tell the patient NOT to take it, regardless if it is helping them. They're overly cautious. So to read WebMD's Bee Pollen Side Effect list and realize that even they don't have much to say when it comes to the potential side effects of bee pollen, I'd say that's a pretty strong point in favor of what we've been saying all along - that Bee Pollen is extremely safe to take and has an outstanding safety record. The most cautious of the cautious list the worst bee pollen side effect as "Nausea or stomach upset." They even say that "an allergic reaction is unlikely." Heck, even we would recommend that if you have an allergy to pollen, don't take to much too soon. But no mention by WebMD. Would it be safe to say that the absence of any such warning is a very strong point being made by over 70 Medical Doctors about the safety of bee pollen? It has been my experience that when a new bee pollen user follows our tolerance test on how to take bee pollen to avoid side effects, we haven't experienced a single case of nausea or stomach upset. 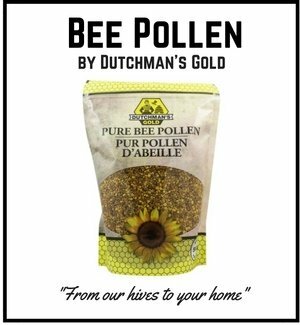 Our absolute worst reports of side effects at Bee Pollen Buzz and Dutchman's Gold have been a few cases of rash and hives. 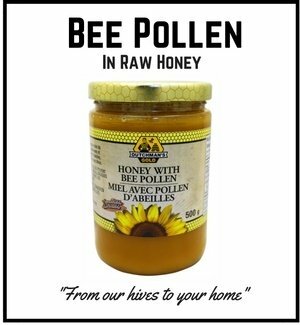 But, they didn't follow our recommendations on how to take bee pollen so it's hard to say if they would have reacted like they did if they'd started with a very small amount of pollen. Is this a guarantee that you'll not react to bee pollen the first time you take it? No. Absolutely not. But my point is this - start slow with very small amounts of pollen and work your way up to a teaspoon or two a day. This will virtually ensure that your experience taking pollen will be a positive one and you'll be able to enjoy the benefits of this wonderful supplement for years to come.